I have downloaded and played a ton of different games and this is the ONLY game (no lie) that I’ve continued to play and haven’t given up on. There are some things I would change such as the riddles. If I know the answer to the riddle, but don’t have the emoji for it, it’s kinda lame that I can’t get the extra win. But that’s nothing major to me and doesn’t stop me from playing. The only other thing I would change is, I would add more special event games where the more special gems you collect the different levels of prizes you get. For example (for those who do play and know what I’m talking about) the back to school back packs and the Halloween bats. This is actually my favorite part of the whole game lol. Other than that I love this game! I love that it’s not boring. There are different objectives to the different levels. It’s challenging but also so far (I’m on lvl 212) it’s not so hard that I can never pass a level which then causes me frustration and to give up on playing it. Definitely recommend playing! This is a great game, really. Allows you to think, problem solve, yet do it in a really fun way. BUT, I’d rather just pay $4.99 for it to get rid of all the advertisements (what you are subjected to if you run out of hearts but want to keep playing) and the in-app purchases when I’d rather work hard to problem solve for the extras instead of buying them. This game is set up to get people hooked on it, and driven to the point where they can learn addictive casino-type behaviors that are opposite the critical thinking behaviors that got them hooked in the first place. I see it as irresponsible to make money in this way. I’ll keep enjoying the game as long as I can before getting my playing card revoked for this review. But I’m not spending money for the extras and I will play the ads while I do something more entertaining until I get enough hearts to play some more. Or, until you let me buy it for $4.99 so I can play without the apps and in app purchases. No reason to restate the actual details of the greedy grind at play here since many reviewers have already thoroughly spelled it out. Basically, Electronic Arts (E.A.) took over the Bejewelled franchise from PopCap and spoiled the experience (unless you have money to burn and don't mind throwing it at unworthy developers). Also, note that at the higher game levels (~ in the 90s) E.A. becomes more commercially aggressive by including intrusive mandatory watch video splash screen ads that can't be immediately "x'd" closed!! 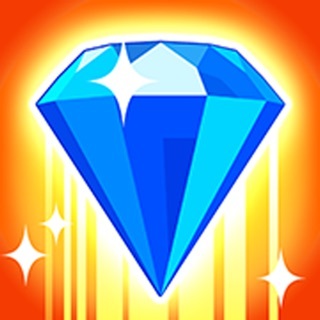 I remember playing Pop Cap's classic version of Bejewelled on my Palm TX over a decade ago and after the one time purchase, it was ad-free and without IAPs - but that was before the money grubbers at E.A. took over a beautiful time-waster. It's still beautiful but now horribly polluted as described...Thanks for reading my rant it's worth the time even if just a few people will heed it. -Message for E.A. execs: Begin growing a corporate conscience by striking a better balance between out of control manipulative greed and a more reasonable revenue model - your mothers will be prouder of you and the rest of your families won't starve either!! !